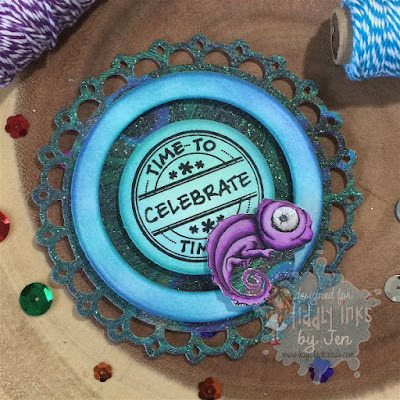 Today kicks off our new monthly challenge for April over on the Tiddly Inks Challenge Blog. We want to see circle shaped cards and circular projects only. Challenge Theme: Let's Go Around! I used Changing Chameleon | For Reals to create this circle slider card. To create the sliding channel, I used my nesting circle dies, inked the pieces with distress inks, and then popped them up with foam tape. The chameleon was colored with Copics and then fussy cut with scissors. I used two pennies and foam tape to attach him to the slider channel. 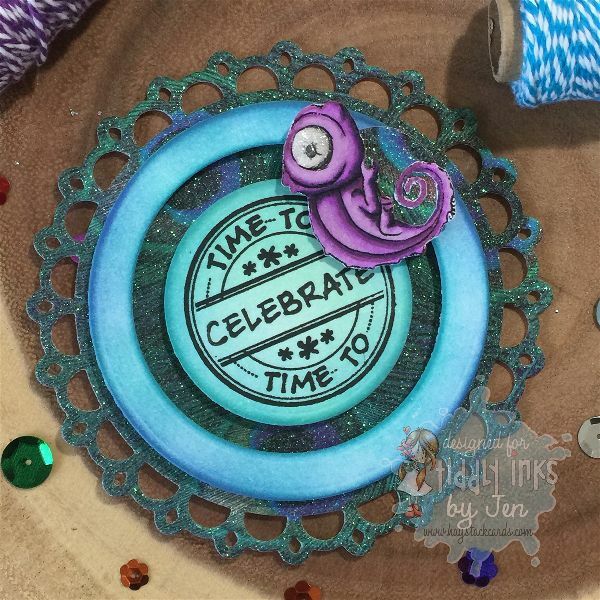 I stamped the circle sentiment with Versamark Onyx Black ink using my Misti. The glitter peacock cardstock was die cut using one of my Spellbinders dies then attached to a circle card base. It's quite sparkly in person. I also added clear shimmer sparkle pen to the chameleon's eyeball. To get an idea of how the chameleon rotates around the sentiment, I took a few more pictures of the card in action. Well, now it's your turn! 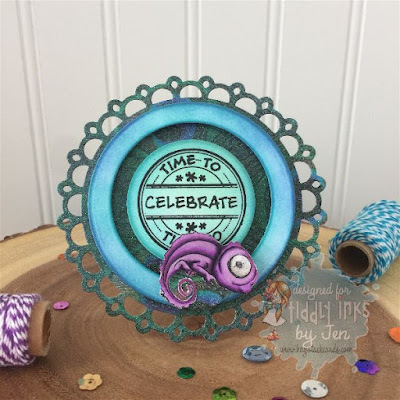 Link up your circle projects this month for a chance to win a gift certificate to the Tiddly Inks shop. 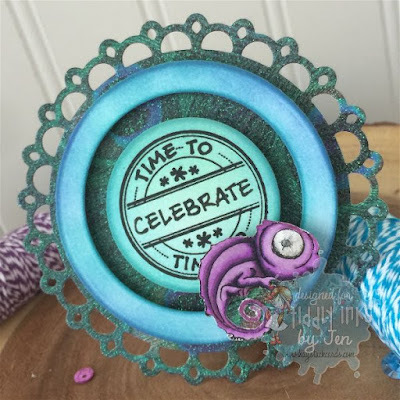 And don't forget to check out the other gorgeous makes my teammates have come up with for this challenge. Oh you have done a lovely job with this beautiful project. Nice work. Thank you for sharing with us here today at World Wide Open Design Team Challenge and best of luck with your entry.